We’ve been hearing little snippets here and there about a few changes that could be coming up as part of Uncarrier 5.0, but one seemingly steady feature on the list is billing. T-Mobile is going to be changing its entire billing system, to make it simpler for customers to understand by including and removing current features. Whether it is as part of Uncarrier 5.0, or not, changes are coming. First up is prorated charges. When you sign up to a new service plan with a new device, currently you’ll find charges often get prorated on the first bill. It’s not unique to T-Mobile, and it’s a system used widely across the globe to help fit charges in to billing cycles. It can be frustrating for users. You’re expecting your first bill to come in at $70 (plus taxes/fees) and instead, you get a bill with (as an example) an extra two week’s charges on it to cover the time between activation and billing date. According to our sources, this system is gone, to be replaced with a new one very soon. Instead, you will get no prorated charges. Your first monthly bill will be exactly that: A monthly bill. One month’s charges. No more, no less. And all on one completely paperless bill. What’s more, T-Mobile is also going to be ensuring that your first bill also includes what you owe on your first EIP installment. We’ve heard plenty of times that – at the moment – some customers have been waiting sometimes up to 3 months before being charged their first EIP payment. No more. EIP payments will be included on your bill from the very first month. This might not seem like a big deal, but it is. Let’s say for instance you sign up to the JUMP! program, and you want to upgrade after 6 months because there’s a great new phone out you want. You’re expecting to have to pay half the device’s cost to upgrade, and you think you’ve already paid a quarter of it. Only to find that you’ve only paid a couple of months, and you’re out of pocket. Or, if – after 12 months – you’re sick of T-Mobile, want to pay off the remaining EIP balance and skip off to AT&T. You assume you’ve already paid half the cost, except you haven’t. You’ve only paid 9 months worth. Although the financial difference isn’t huge, the simplification of billing, cutting out prorata and saving the trees by going paperless is all positive as far as I’m concerned. This way, you know exactly what your first bill is going to be. And that is the key. It’s one of those frustrations you can often forget about, and take as just part of the industry. But, it’s certainly one T-Mo could change, and is about to if our information is correct. Once we have some images to share with you, we’ll update the post. But, T-Mobile staff are being trained on these changes as I type this. Your new, simplified monthly bill will show the differences between the current charges and last month’s charges, broken down per line. Up and down arrow show if you’re under or over. A notice at the bottom encouraging users to switching to the paperless billing system. Although worth noting on the more detailed itemised bill, there are taxes included and mentioned in the bill. Possibility that the rumours surrounding the “all-in” simplified plan charges could be wrong. But, even if they’re right, it’s likely T-Mobile are still required to show the individual taxes. Like we mentioned earlier, the bills do seem to indicate that there are no pro-rata charges. One page indicates that there is a new monthly EIP charge, which would indicate a new device was purchased. The other page of the bill shows clearly that there’s only a one-month charge. No prorated charging is mentioned in the breakdown. All signs then, would point towards this new simplified bill being put in to action soon. I would be very surprised if this was the main jist of the Uncarrier 5.0 announcement. It’s not as “industry changing” as perhaps an all tax-inclusive bill would be. But, it’s will be a welcome change nonetheless. ← T-Mo Galaxy Avant test unit leaked – Hints at another Uncarrier 5 phase: Phone unlocking? My guess is that this http://www.ericsson.com/news/1789370 is what we’re looking at with Ericsson taking over the billing! All these changes and improvements, I really hope any merger won’t make them pointless. There isn’t going to be any merger. The FCC and DoJ have already made it clear that they’ll shoot it down just like the AT&T attempt. Yeah, right into Deutsche Telekom pockets and in to their European networks. Leaving TMUS to figure it out on their own. Nothing wrong with some negativity doom & gloom chat Willie but come on man , DT took care of USA with ATT comp$ so why would you not expect them to do the same with Sprint Comp$. Anyway if FCC approves or disapproves its a win win for T-Mob customers if John Legere & team is in charge , Oh & T-mob branding remains in tact. Its not a win win. Sprint is bloated, slow and anti-consumer and have been with their policies for the last 3 years at the minimum. Their network integration will strain TMobile as a brand and its customers (who I add, many left Sprint, only to be bought back) will cause major headaches, slower data, dropped calls and more of the same bull crap line “be patient we are upgrading”. Point being, it doesn’t matter who runs the company, it’s still Sprint we are talking about. Its terrible and irreversible. Yes Sprint is a mess no doubt , I wasted 7 years of my life on their pathetic network & lies. The good news – John & his team will take over everything making fixes needed..
I’m betting on First 2 years- Both brands stay in tact with Sprint network slowing flipping LTE-GSM switches merging into T-Mob. Yes there will be some consumer headaches…that’s to be expected but not so much doom and gloom buddy. The major benefit of the AT&T rejection wasn’t the $4 billion. Most of that went to DT. 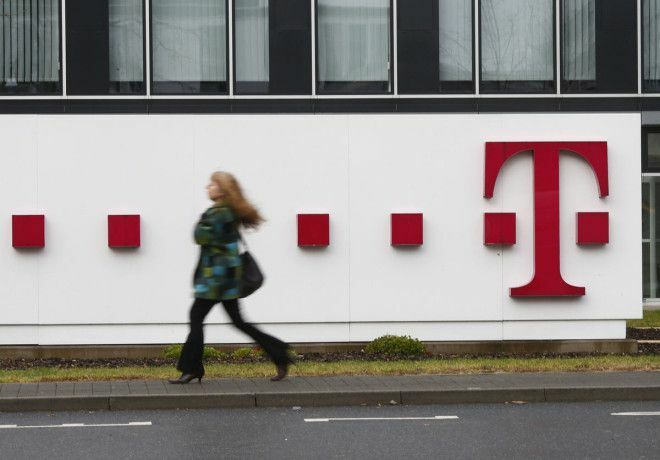 TMUS did get to keep the parting spectrum, which is useless in Germany. They have put that to very good use. What 1Bil in Spectrum , 3Bil cash which DT invested some of that in TM USA. If you know Sprint, and their merger history, one of the first things to go with Nextel was 6-second billing. From there, all their free incoming call plans went, their unlimited data plans went and then Sprint migrated all their plans to the Nextel side, but made the free unlimited Direct Connect have a charge, unless you signed up for an expensive inclusive plan. Sprint has a history of killing off upgrade plans, loyalty discounts and bonus minutes as well as putting limits on what rate plan you can select effectively force migrating users to rates and terms they do not want when they upgrade or change an add on feature. Having been through all of Sprints mergers, I have to say, this one is the one I fear the most. Well everything is pointing to a reverse merger with Tmobile US in control of the combined entity. Yes T-mobile will be in charge. So Many are making this deal to be Nextel 2 & that just not the case. Sprint wont be calling the shots! Reverse merger it is not – that’s a different thing. honestly though, that sounds like every other carrier as well, and they didn’t merge with sprint to do so. I’ve never been pro-rated a higher cost to my monthly bill (I’ve been with T-Mo for over 11 years now), I’ve always been pro-rated for time lost, meaning a lower bill over all (i.e. upgrading my data allotment mid month I was only charged a 1/2 month’s difference for the higher priced tier the 1st month). So if you aren’t given pro-rated rates for your first month, and your “first month” is only 2 weeks, you still get charged for a full month? Has T-Mobile secretly asked Verizon for billing advice? The way I understand it, you get charged a full month for the first month, and a get a full month’s use. So, if you’re not on an unlimited plan, you get your full (let’s say 3GB) data from the get go. Not a prorated allowance. I’m not 100% on how this affects existing customers. From what I’ve heard, it’s new devices only. T-Mobile changed their billing system to bill current about a year ago, which means that all monthly recurring charges are billed in advance and due before the billing cycle closes. Older customers like MadJoe, are billed in arrears, where the monthly recurring charges are billed after the billing cycle closes. On bill current, it means that when a customer cancels their service they most likely won’t have a final bill because they technically paid in advance as opposed to being billed in arrears where they still owe their final bill. Most carriers bill in advance, and bill additional usage and charges in arrears. AT&T attempted to bill me in advance, I paid them happily, then when I went to cancel, told me they billed in arrears as well as prorated the final month and I still owed them 1/2 month of service. When I got the bills together and payments to show them, they said I was legit and right, but that since I was leaving before my contract was up and since the ETF was waived, they were still charging me the final month prorated (the same one I paid in full in advance) and that it was for two weeks before the month cycle ended. They should have technically either canceled my line +2 weeks later or owed me a check for +2 weeks prorated service fee paid in advance. I think TMobile is trying their method to avoid bill shock but also make clean breaks with customers ready to leave for another carrier. Wow, so that means if a customer fours from some old grandfathered plan to a new simple choice, they’d owe two months worth on that bill. Sticker shock! No, all customers who are bill in arrears are grandfathered in with that billing system. No plan change will alter that. My EIP was inconsistent which is why I paid it off early. Between 2 phones one bill will be 2 EIP payments and the next would be none. I couldn’t tell what was paid and what wasn’t. Not only that the T-Mobile Service Rep couldn’t either. Even after trying to pay off the EIP I still had an extra amount in one of the accounts that showed up in the following bill. Billing consistency is needed especially when you are trying to run on a budget. EIP Change has very little to do with better service or bill confusion…The present two month delay is very sufficient for billing and more importantly buyer’s remorse! They simply want to begin collecting as soon as possible for no other reason than to not I’ve to wait in the customer to change his or her mind. EIP upgrade a to my knowledge can only be performed at a local T mobile outlet. So this change like so many is more about closing the return gap…which in turn will push buyers to be more certain of choices and shut down chronic return violators. If your only concern is completing the initial jump period….this change just speeds that up….but many folks appreciate the slight delay in knowing your bill is about to be higher….This change is not needed, but money is the motivation here not better service. Let’s not forget those on the original Jump! program currently only pay 4 EIP payments versus 6 if they Jump! every 6 months. This change will effectively give T-Mobile two more payments. No it will not. You still have to pay the phone off regardless so they are not getting more payments. The payments would just happen when they are supposed to instead of a delay. The old jump was actually by tenure and had nothing to do with amount paid on device. In a modern world with zero down devices it makes sense that there would be a minimum device payment threshold. Hence the new Jump. I put a large down payment on my device, 1/3rd down in fact. And I am still within my 6 month start time of JUMP (original) and then put another 1/3rd down and have paid 5 months so far and now have 5 payments or $55 left to pay. I can either wait till next month and JUMP and they keep the value I pur into my device, or pay it off today a month prior to my JUMP and then upgrade normally. I’d rather do that, keep my device this first round and know that I can have my EIP payment applied immediately with my service plan the next month rather than wait 2 months like I did the first time. Once you have hit your 6 month tenure you can jump whenever you feel like it. The original JUMP! Program only had 1 6 month waiting period. Are we even discussing the same thing? I never said anything about not paying off a device. With the original Jump!, if I purchase a phone on EIP today, my first EIP payment won’t hit my account for 1-2 billing cycles depending on the timing. If I JUMP! in 6 months, I’ve only made 4-5 phone payments. The remainder is cleared by T-Mobile and I start a new EIP contact. If EIP payments now start right away, I would have to make 6 payments before JUMP!’ing. Not saying this isn’t fair, just pointing out the loophole we knew about when the program first started. Why should anyone get two or three months of free phone usage? There is nothing free involved….anyone purchasing a financed phone is at minimum a loyal post paid subscriber. The terms of the EIP are fine as they exist. Again this change has more to do with closing the delay for a faster return…..Why keep it at a two month delay when you can figure out a way to increase revenue by billing immediately. The buyers remorse doesn’t change based on this information so returning your device would still entitle you to a refund on the device with the same terms. In essence your right but that delay still gave the buyer more time to be certain of the purchase WITHOUT BEING BILLED IMMEDIATELY. If a return is made the initial phone purchase balance is never really charged until the installments begin. The new way takes that choice away….I have purchase phones on EIP, and not even open the box and exchange or return for refund and having that two cycle delay made changes like this appear like they never happened.I predict there may be will be more billing errors by removing the delay…IMO. If they’re eliminating prorated charges, what happens if you want to add/remove a feature or switch plans mid cycle? You’ll still get a prorated charge. They are eliminating the prorated charges from the first bill. If you elect to make changes that are not set to your next billing cycle you will get a prorated charge. Switching plans is either backdated to the start of the billing cycle or set to start with the next billing cycle. The features are usually started on the day you need it to do so. The way things are now, there shouldn’t be as many features needed to add-on since most new plans are inclusive. It’s really only the data limits that you change. By the way, if you really want to bring back scary memories, think of the old Flex Pay nightmares that used to exist. Remember adding lines in mid-cycle and the customer would sometimes have to come up with 2 or even 3 months of service payments? Horrible! The prorated charges change only applies to activations with less than four days of proratable days and will not affect feature changes at all. I highly doubt this is a big part of the Uncarrier 5 announcement. It’s really meaningless. Maybe better for T-Mobile, but not a major pain point for most customers. How come nobody is speculating on the uncarrier 5.0/amazon tie in? Both are announcing in Seattle on the same day? Coincidence? I think Not!!! So it is the same event if the media didn’t have to choose between the two. T-mobile Uncarrier 5.0 + Amazon Kindle Phone = Golden age of BYOD. Wait a moment T-Mobile US those 3 months is a break from paying 50% of the cost for average people! Take me for example I bought iPad Air 16 GB 4G LTE with $400.00 towards device and $68.99 for deposite that’s basically $500.00! I need a break for awhile after paying that tremendous down payment! It’s sure a lot but I don’t regret it one bit! I enjoy that 3 months no payment! Personally i do too. They should let us pick. Shadlom I agree choice is key! Kind of like when you make a down payment on a car and wait three months before your monthly payments start? ChitChatCat, fanatic thats exactly what I was going bring up thanks for doing so! Um, if you bought the 16gb version, and paid $400 towards it, then the unpaid amount (EIP) is only $164, which is about $6 per month for 24 months. If you can’t afford the extra $6, then you shouldn’t have bought the Louis Vuitton of tablets in the first place. It’s Not that I can’t afford, it’s logical price reasons. But true that, why pay in the first place. I am also thinking of me personally and people I know that think the same in preference hopefully T-Mobile listens to our thoughts. Thanks for advice anyways. Before you switch to T Mobile in Chestnut Hill/surrounding suburbs check to make sure you will have reception as their coverage remains poor compared AT&T. There are probably 100 different places in the US named Chestnut Hill. LOL @ presenting this EIP change like it’s being done for the customer. TMO just wants their money sooner. Personally, I’ll miss that 2-3 month cushion before the bill goes up. Oh well….I tend to pay off one EIP balance by selling that device before opening up a new one anyways. That little break was nice though. My guess is that they would just have the billing cycle start and end when you open the account, therefore there’s no need to pro-rate stuff. The only issue here is that everyone will have different billing cycles haha. If this is all that is announced at Uncarrier 5.0, this will be the weakest/lamest uncarrier event so far, and completely destroy interest in future uncarrier events. Nothing about this is going to make anyone switch from another carrier, and if someone is on the fence about leaving T-mobile, I don’t see this being what keeps them around. I appreciate a tidier bill, but it wasn’t something that pained me to the point of leaving. Then dont switch. What a whiner. Huh? I never said I was switching, and I wasn’t whining. I am currently a happy T-Mobile customer. My point was that this is a VERY weak reason to have an Uncarrier 5.0 event. Hopefully there is more to it. My credit card company doesn’t throw a press event every time they change the format of my bill. There is also that rumored “Unlock Phone” App. Maybe that will be part of Uncarrier 5. Honestly, in my opinion “locking” phones is the last carrier thing T-mobile is doing. And I would like for T-mobile to have that sorted out first. When you’re in the process of being acquired, things you can do become more limited. why wasn’t this talked about? is that coming at a later time the images were proof.